Aladdin and the Wonderful Lamp is sure to keep your kids enthralled! The app is loaded with opportunities for interaction with touch, drags, and give it a silly spin! Rich images on every page will have kids coming back again and again. Aladdin and the Wonderful Lamp is presented to us by Rahunandan Kandasamy. We look forward to more creations from this developer! 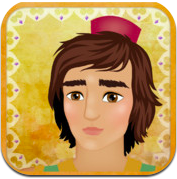 The legendary story of Aladdin and the Wonderful Lamp comes to life in this app. Kids will enjoy the popup pages, beautiful illustrations, and more. Aladdin and the Wonderful Lamp presents a hands-on format that our kids thrive on. The thrill to learn iOS and publish an App on my own – for it to be a learning, creative and opportunity opening experience. The great interactivity element, not just animation alone but I used physics engine for play with the objects on the screen like real – watching kids play with the objects and characters as they read through the story. Creating an app was a dream – I am happy to have achieved it while holding down a full time demanding job. 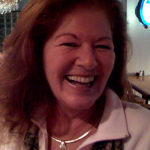 Its been a great experience and I have learned an unimaginable wealth of knowledge.